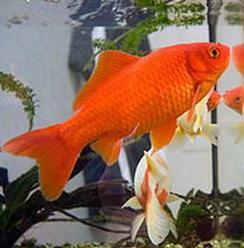 This article will discuss how to care for common goldfish. Common Goldfish should ideally be kept in an aquarium at least 10 gallons or 37 L with a good filter, and no heating, because this fish can be larger than 12 inches (34 cm). Tank recommendations range up to 75 gallons or 283 L. In the aquarium, common goldfish must have sufficient oxygen, particularly when it is warm, an air pump with an airstone or bubble strip will work well. 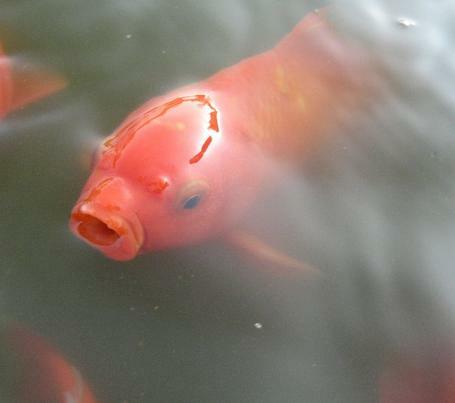 Common goldfish will die without sufficient dissolved oxygen in the water. A filter that can do at least 10x filtration is best, which means that for every 10 gallons or litres of water, the filter should be able to cycle 100 gallons or litres per hour. Common goldfish are social animals who prefer living in groups. Goldfish would like to be kept in a tank with sufficient gravel, aquarium accessories or plants (real or fake) they will make themselves at home. Adding a few companion fish will also help, but make sure each fish has plenty of personal space. Goldfish are minimally territorial, so if your aquarium is already too small for one goldfish (see above recommendations), it will certainly be too small for two or more. Stress is not healthy for any goldfish. In a best case scenario, one or two fish will bully the rest so that they do not get enough to eat. Cannibalism is usually rare (such as when a fish is dying or dead) but in cramped, stressful situations, goldfish may behave unpredictably. Disease, of course, is possible anytime fish are stuck in small homes. When adding goldfish to a new tank it is important to place no more than two at a time. This allows helpful bacteria (which turns ammonia to nitrite and finally to nitrate) to grow. If introduced in too great a number before these bacteria grow, the goldfish will die from breathing in too much of their own untreated excrement. Even after the development of the biological filter, it is necessary to change about 50% of the water at least one time a week, or as necessary to prevent a build-up of harmful nitrate. The addition of live aquatic plants may reduce the number of times per month one will have to perform water changes, but only if the plants are growing (they will uptake nitrate as a source of nitrogen). 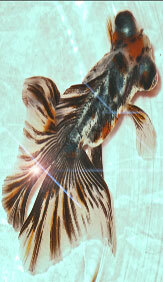 Breeding common goldfish is relatively easy. In breeding condition the male will develop small white spots on his gill covers and the female will become plump. The male will chase the female until she releases her eggs, then the male will release milt and they will become fertilized. The eggs will then stick to any available surface. It is then best to remove the eggs to a separate aquarium as the adults are likely to eat them. When the eggs hatch into fry, they will need to be fed very small food such as hatched brine shrimp or a ready made fry food. As they grow bigger, they can eat finely crumbled fishfood. Eventually the pieces of fishfood can get bigger. Other information on how to care other type of goldfish!